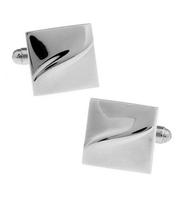 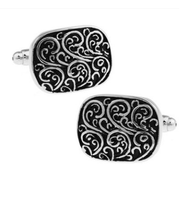 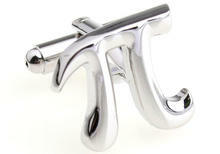 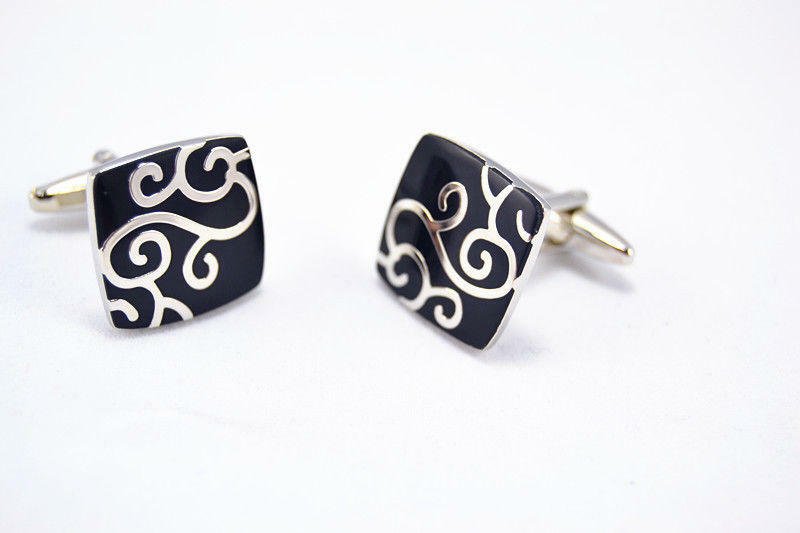 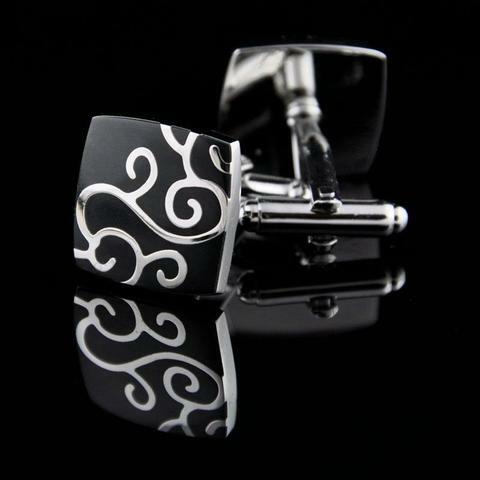 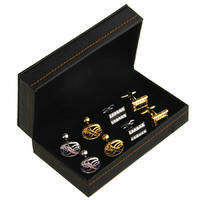 These cufflinks will seduce your mind with a bright silver ornament that goes from the corner to the corner. 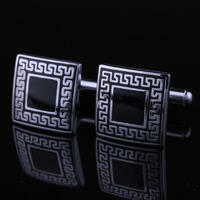 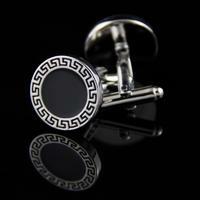 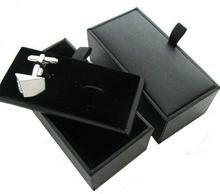 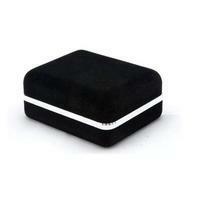 Surface of the cufflink is in polished black colour. 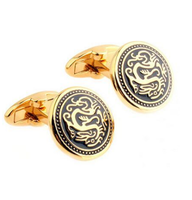 There cufflinks look playful and graceful.